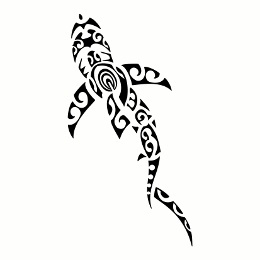 This tattoo of a swimming shark was requested by Nicolò. 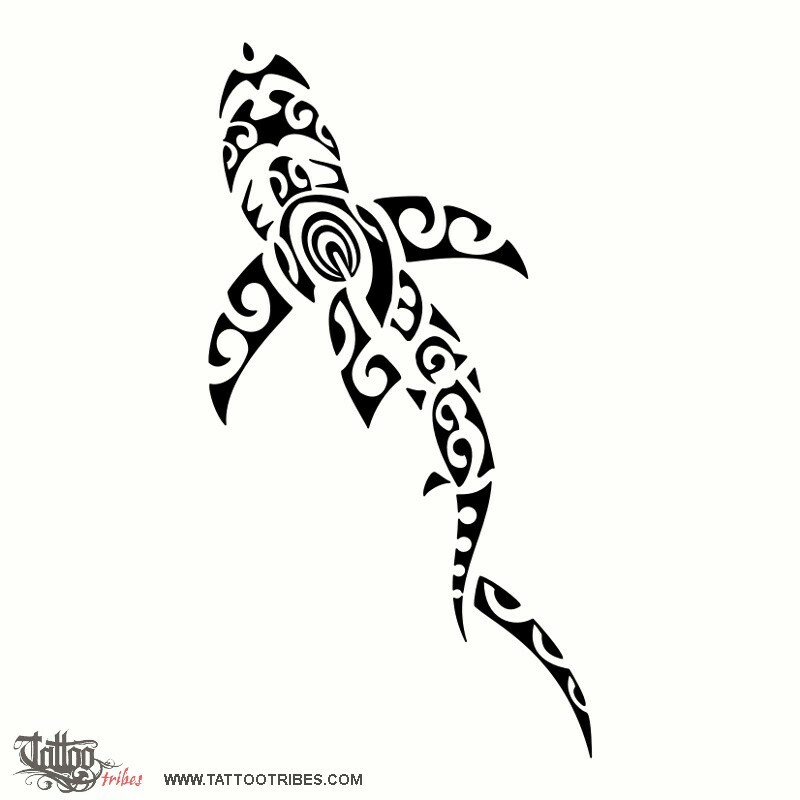 It includes a turtle (family, navigator), a stylized emperor penguin (devotion), a manta (harmony and beauty, knowledge) and a seagull (freedom, watching the world from a higher point of view). In the tail we placed waves and the tentacle of an octopus (sea, change and adaptability, intelligence) while placing a ipu inside the turtle tu symbolize fertility (a symbol often used to represent genealogy and femininity too).